As a Greek Island Wedding Photographer, I get to travel a lot. 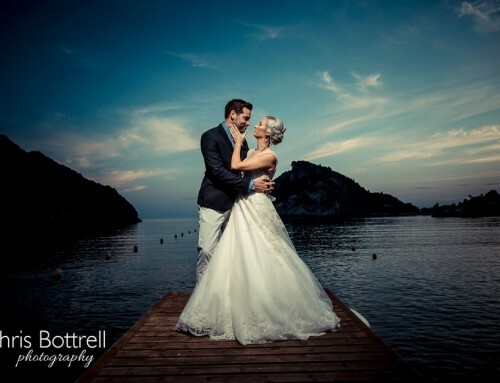 I was so happy when Chrissy and James asked me to photograph their wedding on the Greek island of Corfu. Corfu is slowly becoming a second home for me, I seem to be shooting more destination weddings than ever before. I arrived on the island in the early hours of Wednesday morning and went to the villa to meet up with James. We drove to the two venues that were being used for the wedding the following day. First, we drove to the amazing Cavo Barbaro located in the village of Avlaki. Cavo Barbaro is situated right on the beach and has an open air feel to it. The centrepiece of the venue is a massive stunning tree that gives plenty of shade from the sun. This was to be the ceremony venue. We then drove to the best bar in Agios Stefanos (or Ag Stef as its known) called The Wave Bar owned by Maria and her partner. This was the venue for the evening reception. Set in a tranquil bay right on the water, The Wave Bar was a perfect location for the evening. When I visited the day before the wedding the whole area of Kassiopi was experiencing a powercut. I’d only had 4 hours sleep and no breakfast but Maria was a total lifesaver and rustled me up some food as everywhere else had stopped serving. So it was now the day of the wedding. I arrived at the apartment at around 10 o’clock in the morning to document Chrissy and her bridal party getting ready. It was sunny and very hot, thank goodness for air conditioning! The atmosphere was really relaxed, as the bridal party got ready we all had a few glasses of bubbly, which went down very well in the heat of the day. Once we were all ready it was time for us all, minus the bride to jump on a minibus and make our way to Cavo Barbaro. When we arrived most of the guests had already arrived as well as the celebrant my friend Sally Jane Peacock who was conducting the ceremony that day. After a few drinks, Chrissy arrived with her bridesmaids and made her way through the trees to meet James and the rest of the wedding party for the ceremony. Now, this is certainly a first for me, a local cat decided that it was nice and cool under Chrissy’s wedding dress. With ninja-like stealth made its way under her dress with no one knowing. As the ceremony ended and James and Chrissy started to walk down the centre for the confetti shot. The cat got a bit of a shock and hung on to the dress for dear life! It certainly gave us all a laugh. This could only ever happen to a Greek Island Wedding Photographer. Food was served under the front veranda, a mixture of greek salad and meats followed by fresh fruit salad which was very yummy. After the food and speeches, we all made our way to The Wave Bar in style by boat! We arrived greeted by Maria and her amazing team at The Wave Bar for the cutting of the cake and plenty of partying!. This was then followed by fireworks in the harbour. Overall it was an amazing wedding that I will definitely not forget. Chrissy and James and their guests made me so welcome. I have made some really good friends and I look forward to returning next year for a few more weddings that I already have booked.